If you’re ready to add on to your home, call the team at Remodel Now! 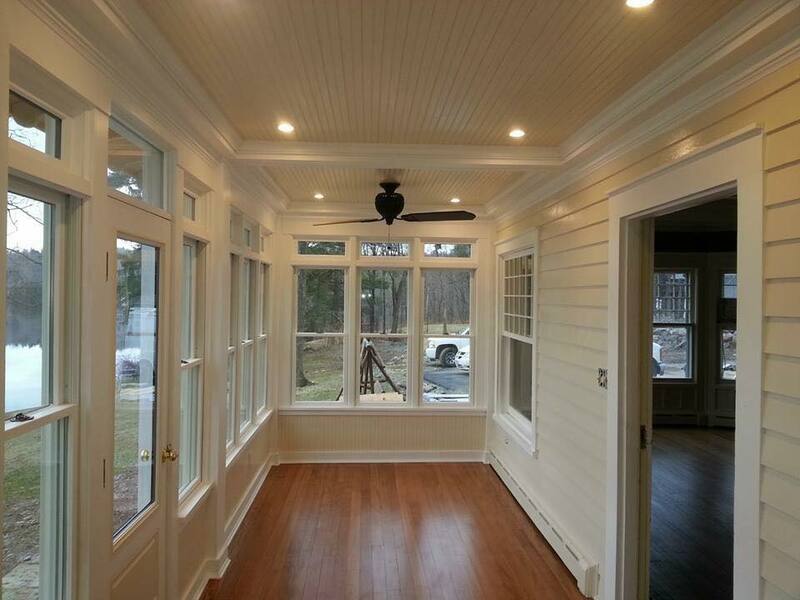 Our seasoned professionals can orchestrate all types of addition projects, from adding on a whole new space, to transforming an underused porch into a year-round sunroom. With a sunroom, also known as a solarium, you can enjoy the rejuvenating qualities of natural sunlight all year round. At Remodel Now, we’re always happy when a client requests a sunroom addition because we know how much joy it will bring to their household. Whether you want to transform your existing porch into a sunroom or you just want to add one from scratch, our home addition contractors will make it happen. If your house didn’t originally come with a garage, that doesn’t mean you have to live without one! Our skilled garage builders can add a new garage to your home so you can enjoy the benefits of extra storage and protection for your vehicles. We’ll work with you to determine how large you want your new garage, and then we’ll custom-build your garage addition to fit your property seamlessly. Our garage contractors have the technical skills and years of hands-on experience to turn your dream of a new garage into a reality. Adding on a room or remodeling an existing space into an additional living area might cost less than you think. Remodel Now offers free online estimates so that you can easily see just how affordable your dream addition is! If you are are considering a home addition, visit us on the web today for your free estimate. At Remodel Now, we are well aware that additions to homes are not something to be embarked upon lightly. It costs money to create an addition, whether it’s a new construction or a remodel. That’s why we offer various financing options. We are committed to providing excellent service to all of our clients, and we will work with you to find the best financing option available for your specific situation. Give the team at Remodel Now a call today to find out more. At the end of the day, adding on to your home is a great investment. When you hire Remodel Now as a home addition contractor, you will increase your liveable space and increase the value of your home at the same time. If you live in Troy or a nearby community, contact Remodel Now to discuss how home additions can improve both your lifestyle and your investment portfolio. Remodel Now is licensed and bonded per project as needed for your peace of mind. Get in touch with us today to get started on your home addition project!